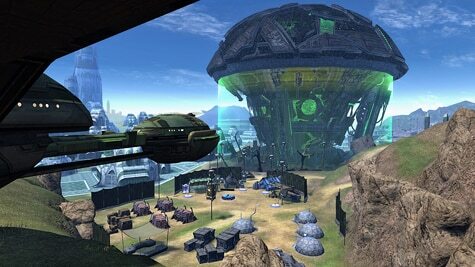 Since last year, STO players have been defending the Defera homeworld against the Borg advancement and the attempted assimilation of the Deferi race. While the defense forces have been fighting a good battle, the Borg have adapted. Starting with tomorrow’s patch, we are introducing more than 20 new missions to this heart-pounding event. The mission givers around base camp may have some of these, while others are available from your faction's leader on Defera, which is Captain Kuzmina for the Federation and Captain Wek for the KDF. Also, not every new mission is available every time the zone is active, so the experience will be different each time you beam down. Each of the missions have objectives that will take you all over the invasion zone, rather than having you stay in one particular area. Some of the missions will allow you and your team mates to split up to accomplish some of the objectives separately, but for others, you will find that sticking together is advantageous – after all, you are fighting the Borg. All of the new missions provide XP and a random assortment of Borg crafting materials. The crafting materials can be traded in at the crafting store at Base Camp for a variety of items, including the new Anti-Borg Device. This device applies a random effect on Borg enemies when used – it could be a debuff, a buff, or something completely different. We are also excited to announce the durations of all timeslots for the Defera Invasion have been increased from two to three hours! Also, you may notice that some of the new timeslots are a bit more friendlier to our players from different parts of the world. So jump in-game now and use the calendar in your Mission Journal to see the timeslots available for this event. Resistance may not be futile – we'll see you on Defera!